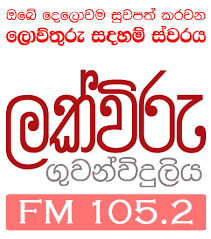 shraddha FM Sri Lanka Live Streaming Online . Listen over 70 Sri Lankan radio stations online . Shraddha Media Network is the owner of this radio . Shraddha Radio is an online radio station that broadcasts from Kaduwela, Sri Lanka . It broadcasts music, meditation contents and other programmes for the soul of the listeners. All FM will start playing automatically . Please wait 30 seconds to listen this radio as sometimes player loading may take 20 to 30 Seconds . Use Google Chrome browser to listen this radio in IPad , IPhone , Android Mobile devices , Laptops , Desktops etc . Address : Shraddha TV, Mahamevnawa Bodhignana Monastery, 369, Rajasinghe Mawatha, Hewagama, Kaduwela, Sri Lanka.